Every year since 1963, May has been the month to appreciate and celebrate the vitality and contributions of older adults in our society. This is the month to celebrate your current and past achievements. Older Americans Month is a proud tradition that shows our nation’s commitment to honor the value and services that older Americans bring to their families, friends and communities. ComForcare Senior Services and At Your Side Home Care encourage you to take part in the celebrations by sharing your stories with us during the month of May. What have you done to make a difference in your family? Do you care for your grandchildren while your own children are at work? Do you help others in the community who may not be as fortunate as you have been? Do you volunteer at an animal shelter? Are you still in the workplace passing your wisdom on to others? Share these activities with us on our Facebook page with a post and a picture of yourself in the midst of one of these activities. Tell us what you enjoy now in life and what wisdom you can give to younger people. Or, share one lesson you have learned in life that will surely make others’ lives better. 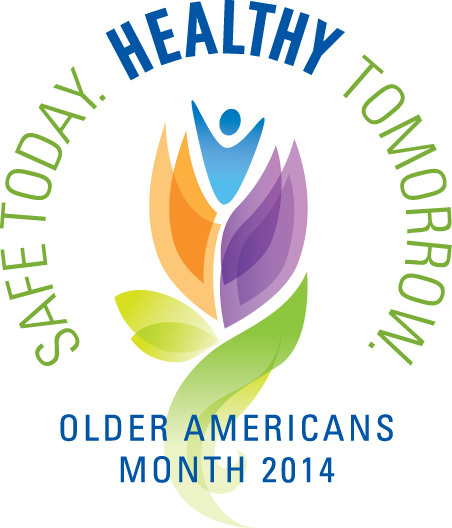 This year’s theme for Older Americans Month is Safe Today. Healthy Tomorrow. This is important because as we age, we become more prone to accidents in and around the home. According to the Administration for Community Living, unintentional accidents result in 6 million medically treated injuries a year in the aging population. That is why staying healthy, active, and aware can help prevent you from getting hurt. To learn more about activities and events planned for Older Americans Month, or to find ideas about what you can do to unleash the power of age, and to make safe and healthy decisions, contact your local Area Agency on Aging office by visiting eldercare.gov or calling (800) 677-1116 to find ongoing opportunities to celebrate and support older Americans.